Therefore let us leave the elementary teachings about Christ and go on to maturity. It is officially spring. The weather and the calendar agree. I am starting to see birds making nests, flowers budding out, and green grass peeking through. Spring marks the beginning of baseball season. One of my favorite things to do is watch my two kids play ball. Of course I’m a fan of these two! We started practice, and I am amazed at the difference a year can make. My son plays baseball, which is fun to watch whether he is running the bases or digging in the dirt. Last year he did a lot of looking around and playing in the dirt. This year, he is more focused, and he is more interested in playing the game . . . and playing well. He has also grown in stature. He looks older out there, and his mannerisms, such as running, look more like a strong young man. He has grown in so many ways! What about you? When you compare yourself this year to the “you” of last year, have you grown? I don’t mean physically, though that sometimes happens! I mean in your walk with Christ. Are you any different? Are there signs of growth? What shines through you? When our children don’t grow physically as we expect, we know something is wrong. It is not okay for a child to just stop growing, or for that matter, we would never expect to see a lack of new growth outside this time of year. We would think something was wrong if we did not see something new. In the last few verses of chapter 5 in Hebrews, the author of Hebrews is telling the Jewish Christians that they had not matured, and the author clearly thought that this was wrong. He had seen no growth in them, no fruit in their lives. The truth of the matter is that in our spiritual walk with Christ when we don’t grow, we are actually moving backwards. You don’t just stay where you are! 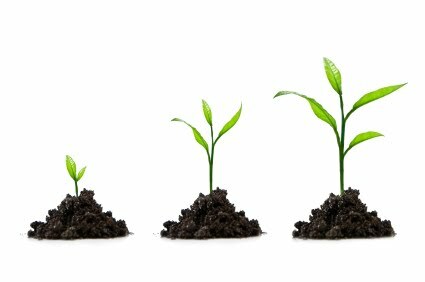 What are the signs of your spiritual growth this spring? Do you show joy or patience? How about self-control? Check Galatians 5:22 for the rest. Let’s consider our fruit as those who we are encouraging, mentoring, or discipling. How are you helping others? Let’s be new and different this spring season. Let’s allow the Lord to move us and change us.